Stirling Glen is a 55+ community in Williamstown, New Jersey. Development of this active adult neighborhood began in 2015 and is slated to contain 195 single-family homes upon completion. J.S. Hovnanian & Sons, renowned active adult community builder, is developing Stirling Glen with home styles and amenities for today's 55+ homebuyer. This community will feature a clubhouse to keep residents in excellent physical shape and socializing with neighbors. Stirling Glen promises to be an exciting option for an active adult community in Middlesex County, New Jersey. Current plans call for a well-equipped clubhouse to act as the heart of Stirling Glen. Homeowners will enjoy access to a fitness center for diversifying their exercise regimen, while greeting, banquet, and gathering rooms will host community parties and events. Residents will also have the choice of joining a game in the card room or around the billiards table. A catering kitchen will allow homeowners to cook a meal for community get-togethers. Stirling Glen will provide several ways to enjoy the warmer months as well. An outdoor pool and patio will be perfectly situated for lounging with friends. Plans also call for bocce ball courts and horseshoe pits for some friendly competition. Development of Stirling Glen began in 2015 and it will have 195 single-family homes upon completion. These homes range in size from 1,744 to 2,032 square feet and offer two to four bedrooms, two or three bathrooms, and an attached two-car garage. These homes feature nine-foot ceilings, kitchen islands, and open floor plans that back up to mature woods. New construction residences allow for further customization. Homeowners in Stirling Glen can expect a fun-filled, socially centered lifestyle in this new 55+ community. At the clubhouse, neighbors will be able to regularly gather for games, cards, or a leisurely round of billiards. Residents can also challenge each other on the bocce ball courts or horseshoe pits. The reasonable monthly fee will also provide a low-maintenance lifestyle since homeowners will not have to worry about lawn maintenance, snow removal, and clubhouse amenities. Stirling Glen is located in Williamstown, New Jersey. Golfers will love that the community is adjacent to the locally popular Scotland Run Golf Club, offering 18 holes of beautiful golf. Stirling Glen is also conveniently located just minutes from a variety of stores on North Black Horse Pike, giving homeowners proximity to a Home Depot, Sam's Club, Walmart Supercenter, Target, and restaurants. Traveling to Philadelphia or Wilmington is easy with the Atlantic City Expressway just under an hour away. Gloucester County is also home to several attractions including the Gloucester County Historic Society Museum, Washington Lake Park Amphitheater, the Gloucester - Williamstown Biking and Hiking Trail, and the Gloucester/Salem Wine Trail. Stirling Glen has the desirable homes, amenities, and location to make it an exciting 55+ community in Southern New Jersey. There are plenty of activities available in Stirling Glen. Here is a sample of some of the clubs, activities and classes offered here. Development of Stirling Glen began in 2015 and will have 195 single-family homes upon completion. These homes range in size from 1,744 to 2,032 square feet and offer two to four bedrooms, two or three bathrooms, and an attached two-car garage. These homes feature nine-foot ceilings, kitchen islands, and open floor plans in homes that back up to mature woods. 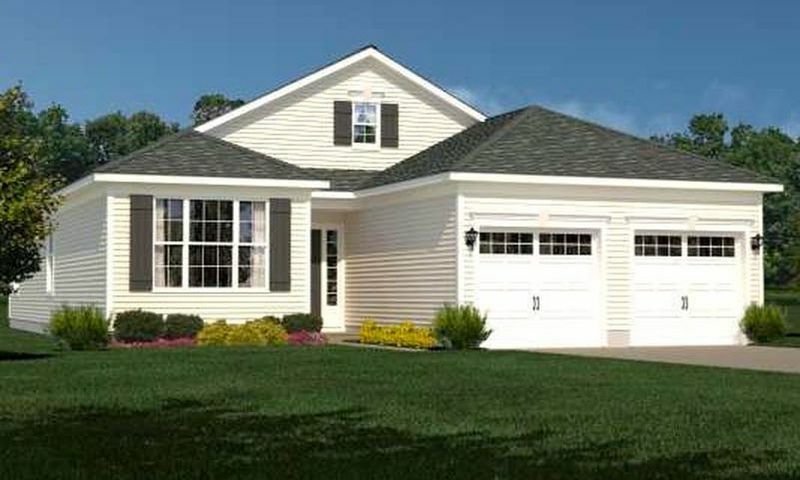 New construction homes allow for further customization. 55places.com is not affiliated with the developer(s) or homeowners association of Stirling Glen. The information you submit is distributed to a 55places.com Partner Agent, who is a licensed real estate agent. The information regarding Stirling Glen has not been verified or approved by the developer or homeowners association. Please verify all information prior to purchasing. 55places.com is not responsible for any errors regarding the information displayed on this website.